As some of you have already discovered the EASA bi-weekly site is now apparently only going to open during working hours. This is a brilliant idea that is going to upset a lot of users especially Airbus who have an Airworthiness Directive (AD) issued every ten minutes! Whether this is temporary or permanent we have no idea but I am certain others will be challenging the decision if one has been taken. Graham Hallett has already sent out a notice to all Inspectors which covers the subject pretty fully but, just so you know, we agree. For inspectors, if you have an inspection coming up at the weekend then please check the Bi-weekly number during the day on the Friday and use that. 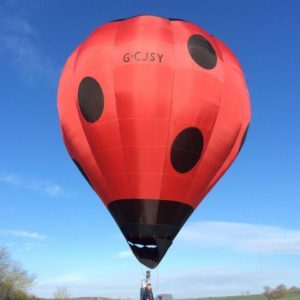 We subscribe to all the services offered, including the manufacturers, so if something unexpectantly pops up over the weekend then we will let you know or just mail us on the office@easyballoons.co.uk address. Bi-weekly numbers change on Tuesdays so it actually shouldn’t be too much of a problem. We make reference to ADs and SBs in our pages bit, which are checked daily, and will consider putting the current Bi-weekly reference number there as well. We have tried to get a response from EASA but clearly there isn’t anyone behind the non-existent door. If you do go to the EASA AD bit of their website over the weekend or in the evening then you will told it is closed! The EASA ‘Safety Publications Tool’ is, for the moment, only available during office hours 09:00-18:00 Central European Time which, now the clocks have changed is 08:00-17:00 here. Come to think of it, I don’t recall seeing a Consultation on the matter. So much for EASA’s concern for their ‘shareholders’ eh! Lindstrand Jetstream Burner: Service Bulletin SB23, Revision 2. We published this as News Update 15.03.16. so just in case you didn’t see it here it is again. Following on from the issue of Cameron Service Bulletin SB23, and the results of the report on wear to the affected parts, EASA have deemed it a textbook “potential for an unsafe condition” and an EASA Airworthiness Directive is likely to follow. Cameron SB23 Revision 2 is split into two parts both of which remain ‘Highly Recommended’. The first part recommends stripping the assemblies at the annual/100hr inspection and the second part remains as the recommendation to fit the stem mod kits. Its rumoured that EASA may make the first part of the Bulletin ‘Mandatory’, which would mean that an Airworthiness Directive would be issued so you would have to strip down and inspect the affected assemblies every year should you choose not to fit the replacement stems. The fitting of the Mod would remain ‘Highly Recommended’. It doesn’t take much to realise that it would be prudent to replace the valve stem assemblies, unless you wish to have them stripped down every year as part of the Annual/100hr inspection, should EASA decide to make it ‘Mandatory’. Lindstrand ‘squeeze action’ main valve assemblies are not affected however all toggle-type ‘whisper’ valves are. 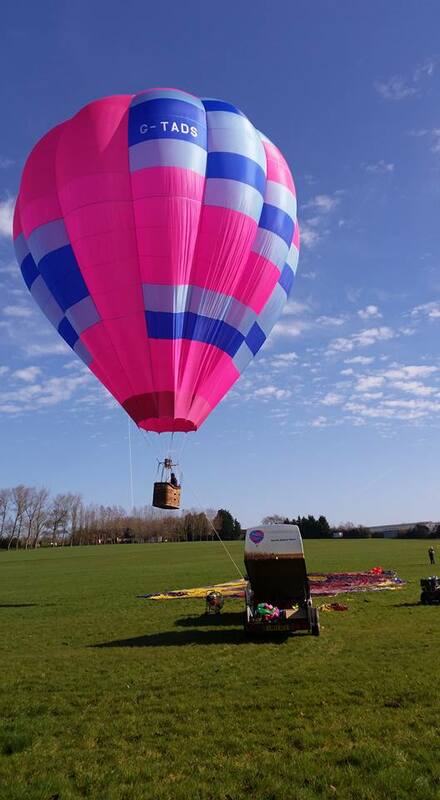 As a result of the decision Cameron Balloons advise all owners of Jetstream Burners to have the modification done at their earliest opportunity as the demand on spares may mean a lead time of up to four months to fulfil orders. Please be aware that both parts of the Service Bulletin are, and will remain, ‘Highly Recommended’ until further notice. This means that currently replacement is not mandatory. We will update this along with the Airworthiness and Service Bulletin page if it changes. In January 2016 Cameron Balloons released Service Bulletin 23 to address a design deficiency in the Lindstrand Jetstream burner. This bulletin called for an inspection to see if a potential wear issue that could lead to an uncontained leak of liquid propane was a occurring in service. A modification kit was also made available at that time which rectified the original design defect. The inspection results from the initial issue of the bulletin indicate that wear of the Seat Carrier does occur in service; the amount is not well correlated with flight hours and wear could lead to an “unsafe condition”. For this reason we have up-issued SB23 to Revision 2. Revision 2 contains two parts. Part 1, which EASA are expected to make Mandatory, calls for inspection of the seat carriers for wear at every 100 hour / annual inspection unless fail-safe valve stems have been fitted. Part 2, categorised as “Highly Recommended”, proposes fitting of the fail-safe valve stems (mod C650). 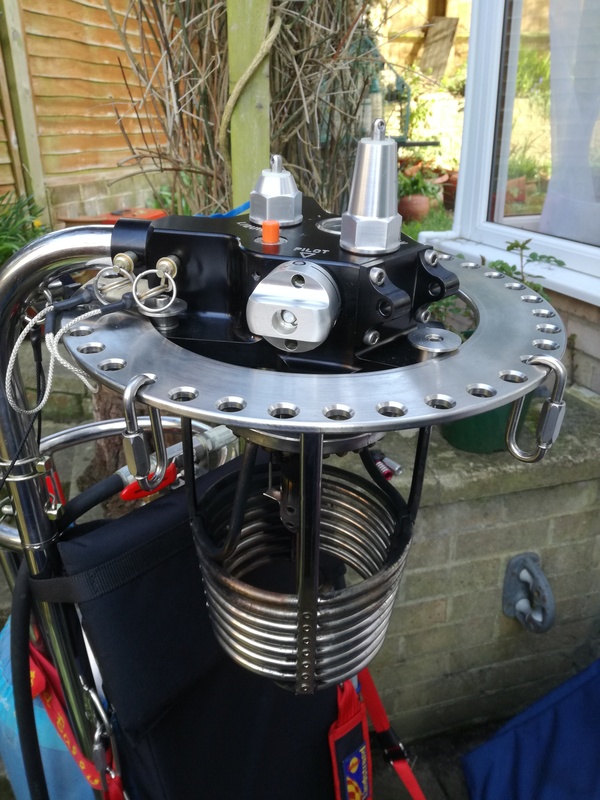 The purpose of the 2-part approach is to avoid grounding balloons using Jetstream burners should insufficient stocks of the C650 modification kits be available. 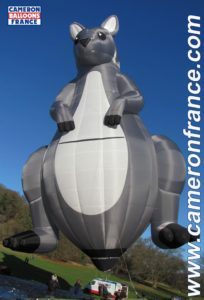 Modification kits can be purchased from Cameron Balloons. Note that the modification kits do not include replacement seat carriers, which should be ordered separately if required. Modification kit part numbers, prices and a valve type identification are available on the Cameron Website or by contacting Cameron Balloons. Cameron Balloons apologise for any inconvenience that this may cause, but this action is necessary to ensure the long-term safety of the Jetstream burner. We would just like to add that there have been cases of the bonnets being very tight as a result of a Loctite product being used. Geoff mentions wrapping tape around the bonnet. Wise words. A couple of wraps of insulating tape will protect the bonnet as will using a correct sized good quality spanner. Heaving on a long bar extension is not the way to undo it. If extreme resistance is felt then the simplest way to loosen it is by putting pressure on the ring spanner as if you are undoing it and give it a sharp tap with a hammer. A sharp tap is just that, not slogging the seven bells out of it. If you do use this method please ensure that you minimise any twisting moment onto the supports or frame. Its therefore probably a good idea to get someone else to assist and get them to use the phrase, ‘When I nod my head you hit it’. If there is sealant in the threads then it needs to be cleaned out before re-assembly and fit a new copper washer. You will need the work signed off by an inspector if you are not one yourself and don’t forget the Form1 when you order the parts. Fancy going to see the Red Arrows carry out their Out of Season Rehearsal? A NOTAM has been issued covering the Red Arrows Display Practise at RAF Linton-on-Ouse, Yorkshire, on 25th April 2017. Airspace is closed to all aviation not under the control of RAF Linton-on-Ouse’s Air Traffic Control in a circle with a radius of six nautical miles, below 8100ft amsl centred on RAF Linton-on-Ouse between 1000 and 1400 hours. This includes any small balloon, any kite weighing not more than two kg, any small unmanned aircraft and any parachute including a paracending parachute. Details are in AIC M008/2017 NATS website is at http://www.ais.org.uk. Following on from our discovery that there was a wallaby about, Dave Boxall sent us an official picture of the little darling. Does look quite sweet actually but has it got a tail we ask? Nice to see a full on special shape, there haven’t been that many in the past couple of years. It is indeed a Wallaby-42 and I thought I had some more info on it somewhere but it seems to have wandered off into recent history, anyway I seem to think it went to france. 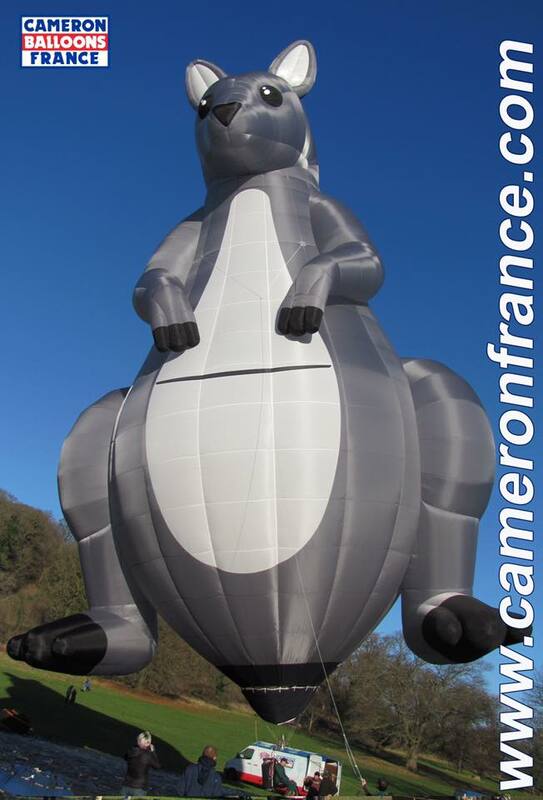 Now either it was inflated on the side of a valley or it was windy and the picture rotated to get it upright, whatever, showed it to Polly who wants to chase it as she reckons it looked a bit like a giant squirrel. Well the eyes maybe and its grey. You’ll need to be quick to join these very interesting and worthwhile events. Registrations are now open for two confirmed MCASDs. The days are supported by military aviation authorities and the CAA and provide the opportunity for General Aviation Pilots to visit military air bases and receive briefings on the flying activities undertaken there, as well as other topical safety matters, and meet military aviators to exchange views and promote better understanding of both communities. There is invariably the much-prized opportunity to fly into the host air station with the added bonus ofa landing fee waiver. In addition to the flight safety briefings host stations normally arrange for a tour or display of one or more station activities or historic connections of interest. Lunch and Refreshments are provided for a modest charge. 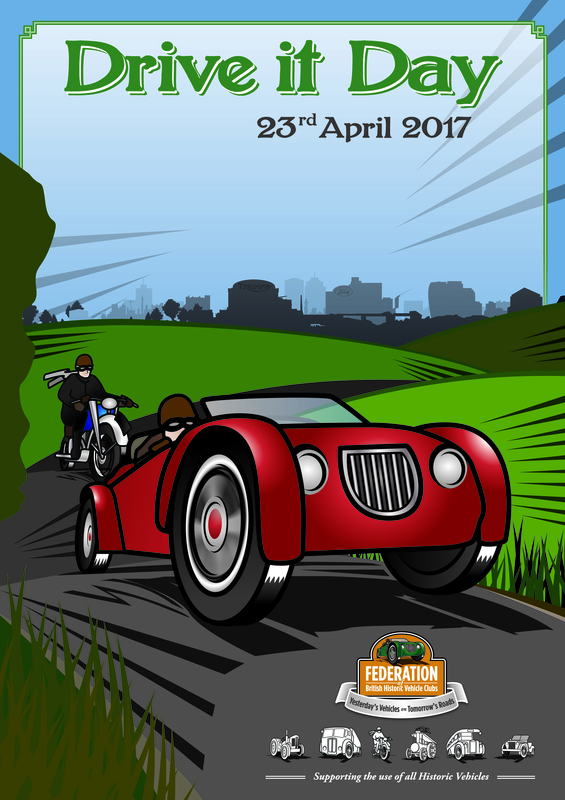 The two dates are Saturday 22nd April 2017 at RAF Linton-on-Ouse. In addition to the presentations and information exchange described above the day will also feature a static display of aircraft based at RAF Linton-on-Ouse and nearby RAF Leeming. There will also be a chance to visit the The Memorial Room which was created to honour all those who served at Linton-on-Ouse and its satellite airfields in peace and war since 1937. It commemorates all those who have died whilst serving at these airfields and especially the more than 2000 air and ground-crew of the Allied air forces who died during the Second World War and contains hundreds of exhibits, photographs and first-hand accounts from that period. Registration forms for this MCASD are now available from the penny.gould@gen-av-safety.demon.co.uk. The list will be closed on Friday 7th April. The second is at RAF Shawbury on Saturday 6th May 2017. Registrations for this MCASD have now opened. The day will include a presentation by the Defence Helicopter Flying School (DHFS), RAF Valley, a tour of the ATC Tower, a hangar visit to see the DHFS aircraft and a visit to the new Military Flying Training System accommodation under construction at the base. Hot off the press is a reminder that CAP 1434 which was published last year and endearingly entitled 'UK Flight Information Services: Guidance from the CAA' is there to help all aviators. The leaflet provides guidance to pilots on the types of air traffic services that are available to all flights operating within Class G airspace and, where notified, to VFR flights operating in Class E airspace. CAP 1434 leaflet supplements CAP 774 'UK Flight Information Services'. Need to be quick to get onto one of these LRO Days. The Seminars are limited to 40 people per date and have been arranged at local level. It is always good to see a good mix of pilots, pilots under training and crew at these events so all are more than welcome. For more information contact the organisers direct please. On 9 April the Western Region BBAC have arranged one to be held in Keynsham. Contact Phil McCheyne philmccheyne@icloud.com and on 23 April the Eastern Region are hosting one at Needham Market. Contact Jo Scott pilot18@live.co.uk. Stephanie Bareford’s Fantastic New Beginnings Meet 2017 has been confirmed. Primarily aimed at Pilots under Training its a combination of helping PUTs get experience towards their license, some fun competition flying for those who would like to try and see what it's about or just have a practice for the bigger events (like Exclusive ). Above all it is a great opportunity to see what the sport is all about. It will be held at Wolverley Secondary School, Worcestershire and run from 12-14 May 2017. All welcome, including instructors and examiners. If you would like to attend or want to know more info, please drop Stephanie an email at steph_bareford11@yahoo.co.uk. Although Trump, Brexit and the future of Scotland seem to have dominated the news of late Avian Flu is still popping up here and there and where it does some pretty drastic measures are taken to stop its spread. Prevention Zones are established around the infected site and birds destroyed. Wandering into, or landing in, one of these zones would be pretty disastrous. To keep upto date on it Farmers Weekly run an very good interactive map at http://www.fwi.co.uk/poultry/map-avian-influenza-incidence-across-the-UK-2016-17.htm. There are plenty of Government sites that cover the outbreaks and how the spread is being dealt with. Looking on the the British Balloon & Airship Club (BBAC) website we couldn’t find anything about it which was a bit odd but apparently they do have a Code of Conduct in respect of Avian Flu although, unfortunately at this point in time, it cannot be accessed. The problem has been reported to the webmaster and hopefully it will be resolved soon? Changes to airspace rules around Exeter Airport are being proposed to take account of the airport’s continued growth. Passenger numbers at the airport have increased by 20% in the last five years and total aircraft movements are forecast to grow. The changes would re-design the airspace around Exeter Airport and introduce new rules, maintaining safety for all air users and allowing for more efficient handling of aircraft. This could help achieve more continuous descents and climbs for inbound and outbound commercial aircraft, for example, reducing noise, fuel consumption and emissions. The airport has drawn up its proposals in consultation with a wide range of aviation users to take account of their varied needs, and is now consulting formally on the proposals. The consultation period ends on 9th June 2017. Exeter Airport will consider making changes to its proposals once all responses have been analysed. It will then submit a final scheme for consideration by the Civil Aviation Authority. Exeter Airport wish to engage with all aviation stakeholders that might be affected by this ACP. Constructive feedback will inform the development of the ACP, ensuring that any positive impact is enhanced and negative impact is minimised. The consultation period is 13 weeks incorporating the Easter and May Day Bank Holidays, during which all consultee responses received by Exeter will be recorded prior to consultation that closes on 9th June 2017. For the consultation to be effective, it is essential for consultees to be able to express their relevant viewpoints therefore Exeter Airport Management kindly ask for responses to be submitted in a timely manner. For any clarification or queries, please make it clear that you are requesting further information in the email subject. Email address: acpconsultation@exeter-airport.co.uk . A copy of the consultation document can be downloaded through their website at https://www.exeter-airport.co.uk/acp-consultation/. The home-build boys have been hard at work again. This time Dave Stagg, in deepest Norfolk, spent most of the winter shut in the back bedroom knitting the latest home-built balloon. This is another Brian Mead design, designated as a ‘Mead BM-77’ and carries the registration G-TADS. Very fine it looks to. Nearer to home Barry Newman has built himself a rather delightful hopper in the same style as his old balloon. G-CJSY is Brian Mead designed and was sewn together at Sackville whilst Mr Sackville Tim was away scanning sheep so its designated as a Sackville BM-34. We have had the pleasure of checking it out and discovered that, just to make a bit tricky, the spots are all cut in, not an easy job that but done very neatly. Barry did admit it took a couple of goes before he got the hang of sewing in circles. http://www.modellballone.com or contact Modellballone Bölling, Richard Bölling, Im Belli 41, 78086 Brigachtal, German or just email info@modellballoneboelling.de. Just announced are the dates for Bristol Safety Ltd’s Fire & First Aid Courses. The courses are run on a single day starting at 08.45 and finishing in time for tea at 14.00. They are pretty comprehensive and cover all the things you need to know under CAP611, Basic Fire & First Aid Training, requirements. Now don’t think these courses are just for pilots, they are just as useful for crews and pilots under training. Two dates have been confirmed, Tuesday 30th May (08:45 - 14:00) and Friday 15th September (08:45 - 14:00). The courses will be held at The Batch Community Centre, 8a Park Road, Warmley, Bristol. BS30 8EB. In addition, as always, bespoke courses for group bookings of 6 - 12 can also be taken this year with a minimum of 4 weeks notice and facilitated in suitable venues across the UK and throughout Europe. To make an enquiry, or place a booking, please contact Justin Lane for a booking form. Or visit their website at www.bristolsafety.co.uk. Newbury Show – well, Royal County of Berkshire Show, actually! There are plenty of balloonists that fettle away in their sheds and garages throughout the wet and windy weather polishing the rocker boxes of their Morris 1000s or try to get that old Matchless to start but it is all for one thing The Drive-It Day. This event, which every year commemorates the 1000-mile trial that was run at the start of the 20th Century, gives enthusiasts a chance to drive their historic vehicle in celebration. For many it marks the start of a new historic vehicle ‘season’. Typically, events are organised as runs at local club level but destinations can include locations of national significance like Brooklands, the British Motor Museum at Gaydon, the National Motor Museum, Beaulieu, Bicester Heritage and Lakeland Motor Museum, as well as the local Pub! For students of history, the original event was covered by “The Autocar” in 1900. 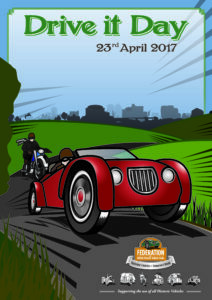 Drive it Day rally plates can be sourced from the FBHVC official supplier, Dragonfly, either via their website or by calling 0800 783 8634. Seems even more information is out there on the ‘other’ Liberator named Pregnant Peg. We have been told that there is in fact a Geocache (GC5HXME) on the site of the crash of B-24H 42-50328/D Pregnant Peg (The Flying Log) which crashed on take-off following engine failure. "The Flying Log" of 506 BS, 44BG crashed alongside the road at Birds Corner, at 1155 hours on 8 August 1944. Aborting the mission, Lt Jacobs attempted to get back to Shipdham but turned into the 'dead' engine and spun in. All 10 crew members were killed. The load was 46 x 100-lb frag bombs and about half of these exploded in the crash and fire. The pull in where this cache is placed was created by the crash and resulting explosion. For a few years now I have been privileged to take Jane’s dad on the Dunkirk Little Ships Veteran’s Cruise. This grand day out Grommit, run over two days, centres around the Thames Motor Yacht Club at Hampden Court and is held on 2-3 September. The first day sees the Little Ships head downstream to Teddington Lock with veterans from more recent conflicts and war widows. The Sunday sees the few remaining Dunkirk Veterans, Normandy veterans and Convoy veterans getting a trip up river aboard the Little Ships, often escorted by the Torpedo Boat MTB102, up to Weybridge Mariners Club where they get a slap up dinner (usually Shepherds Pie and peas). The route is well lined with spectators but the best viewpoints are the locks at Molesey (about 10.00) and Sunbury (11.30), which always has great period music playing. Other dates include the Thames Traditional Boat Festival 14-16 July at Henley and the Commemorative Cruise to Chatham on 26-29 May. On a slightly different note, following on from our earlier reported, rather unknown, meeting with film director Christopher Nolan, 'Dunkirk' the Movie is due for release on July 21, 2017. The film stars a number of the Association's Little Ships including Hilfranor, Nyula, Elvin, Papillon, MTB102, Caronia, Mary Jane, Endeavour, New Britannic, Mimosa and our favourite, RIIS I. Research - Yes we do!!! When we put together the article on Thermals we had some idea that Mike Moore who was at Cardiff Castle when the excitement with White label occurred had actually taken some piccies of the event so I dropped him a line to see if he had actually taken any pictures and if he still had them in his Happy snappy album. Sadly, or rather luckily he didn’t but did send a note on his take on the order of events which made us chuckle. 2 Sound of burner and a general awareness that "Dunkley is doing a quick hop in a cloud hopper". Dunkley disappears down behind trees. 3 More crossword. Period of silence and more crossword. 5 Blimey! Dunkley is still airborne and he's coming back. Fast! 6 No more crossword. Everyone observes spectacle of Dunkley now stopping suddenly and reversing back to original track. Fast. 7 Wallop! Dunkley's burner is firing outside the envelope because the balloon is laying over sideways. 8 Ah...not yet the end of the season then! I decide to drive to the sound of firing. Mysteriously I am soon following an ambulance going my way, which as far as I know, nobody summoned. Probably they were at the show doing the crossword. 9 Neither me nor the ambulance find any scene of carnage and so we go back to the show. 10 You turn up eventually with your description of landing in a family get-together in a back garden. Ballooning has given me a rich collection of memories but I haven't pulled that one out for a while. Best wishes, Mike.